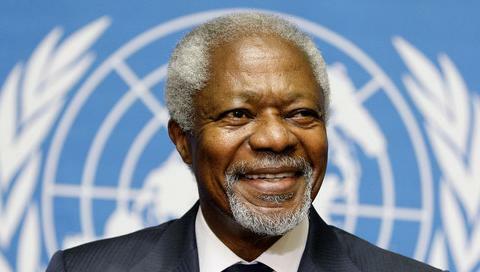 At first blush, Annan seems far from the imposing figure he struck during his 10-year service as secretary-general of the UN. In person, the 2001 Nobel Peace Prize winner is engaging, full of humour and self-effacing. But you don’t have to listen to him for long to realise that he understands the challenges, responsibilities and opportunities of leadership at a very deep level. Click here to read the full story on the website of the Financial Times.